When Matthew was an infant (I still can't believe he is 2 now and considered a toddler), we spent many days walking outside or in the mall. His car seat sat on the stroller, so that's where he would be. I remember walking outside with him and covering him with a swaddle blanket to shield him from the sun so he could sleep peacefully. I never once thought about an canopy specifically for my car seat or stroller. 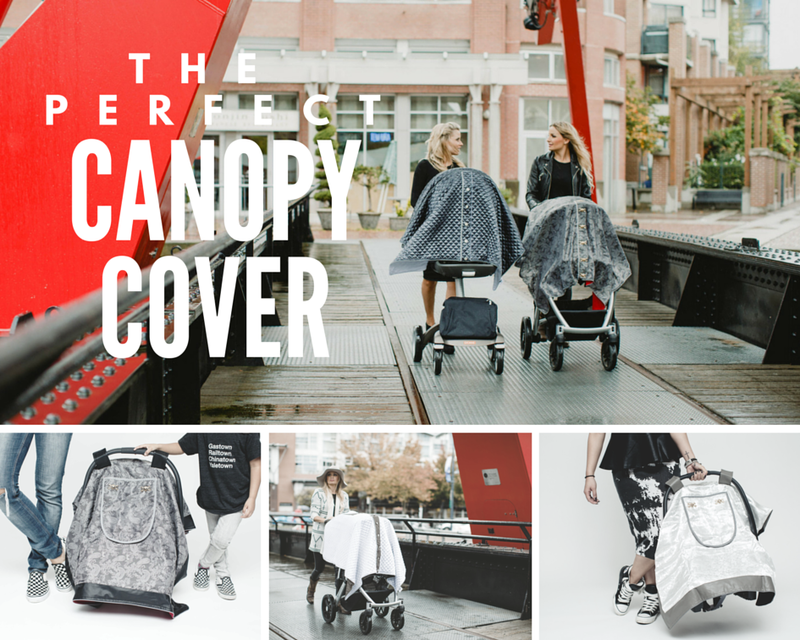 So when Little Dream Bird emailed me asking if I would be interested in writing something about their product, I jumped at the opportunity because I wanted to share this with other moms and soon-to-be moms about their practical canopies. They provide a blackout shield to let your baby get a good nap. That's important for them, and mommies can go on with their strolls knowing their little one is getting the rest they need. You know I'll be adding this to my list when I have baby #2! Before I talk about the mama behind Little Dream Bird, I wanted to mention some key features that I think makes this accessory the perfect one to have for all mamas who love fashion as much as I do but also require functionality to their life. It has dual peekaboo windows, blackout and sunshade, for when you want to look at your baby without having to lift the canopy off. It comes in both lightweight and heavyweight styles - perfect for cooler and warmer weather. And most importantly, will fit most strollers and car seats! Now like most women who become moms, priorities slightly change, and things that you need for your children become very important. Barb Mackenzie is a mom of two, and like all moms, finding something that would keep her baby sheltered in style, while she went about her day was difficult. She knew that she wanted life to continue as close to how it was pre-baby while of course making sure the little ones had enough rest (along with everything else). So, Little Dream Bird was born. There is nothing I love more than supporting entrepreneurial women who inspire others and aspire to do great things, all while raising a family - a great thing in its own right. I'm happy to be having this great giveaway thanks to Little Dream Bird and offer one of my lucky readers the choice between the white diamond stroller cover or the slate stitch stroller cover (Winner can choose which one they prefer). Just follow Rafflecopter to enter! *Giveaway open to Canadian and US residents. I didn't need anything like this with my first baby, because he was a mid-May-in-Texas kiddo and needed all the breeze he could get! But we're expecting again and he/she is due in December... This would be perfect to keep out the chill! I could definitely use this with baby #2! I'd love the slate stitch! Its very cute! when I had my son I used one of those huge strollers with the shade on top. Thank you for sharing!! You're right, these really come in handy! Especially in the early days! I had a huge stroller with a cover when mine was younger, he's 3 now so I don't need anything like this but its great to hear about and for newer mommies to use. Thank you for sharing!! I like the slate one. This would definitely come in really handy! Those are so pretty! And quite functional - love! Thanks so much for taking the time to link up with us over at the #HomeMattersParty - we hope to see you again on Friday!